If you’re like me and you live in San Francisco where cabs are few and far between, Uber has been a godsend. But the marketplace for on-demand transportation is about to get a lot more interesting. That’s because there are a few startups that will be doing on-demand, ride-sharing at a much more affordable price point over the next few months. Zimride, which has been around for a few years, will be one of them. They’re coming out of the gate with a product called Lyft today. It’s still in beta (so just friends and family). But basically you can use the app to request a driver immediately and get a ride anywhere in the city for a price that’s competitive to or even cheaper than a cab. Like Uber, Lyft faces interesting regulatory hurdles around doing ride-sharing that arguably competes with professional and government-licensed cab companies. It and another company that’s still in beta called Sidecar are getting around this by doing reimbursements or operating on donations. “It’s reimbursement,” said co-founder and chief operating officer John Zimmer. “Anything above and beyond that is a donation.” Zimride has an algorithm that suggests a recommended donation based on time and distance, but it’s up to the consumer to decide what to pay. Zimride keeps about a 20 percent share. The company is seeding the market with drivers that are willing to do longer shifts that take several hours. They’re using a thorough interview process that includes driving history, criminal checks and car inspections. On the consumer side, it will be easy to pick the app up and demand a ride. But on the supply side, there’s a whole vetting process. “We just want to be very deliberate about how we build this market,” Zimmer said. The company has actually been breakeven at many points in its life. Zimride is really three separate businesses under one roof. One is a university-focused program where they charge colleges for providing school-specific, ride-sharing programs. A second business is for long-distance ride-sharing. Los Angeles to San Francisco, for example, is a very popular route. Every time they’ve gotten one leg of the business to profitability, they’ve used it to fund the next piece. This one will likely be their most challenging endeavor yet. Zimride faces a number of upcoming competitors. Uber has mostly stuck to the higher-end of the market with private drivers and black cars, but there are signs it is moving downmarket. 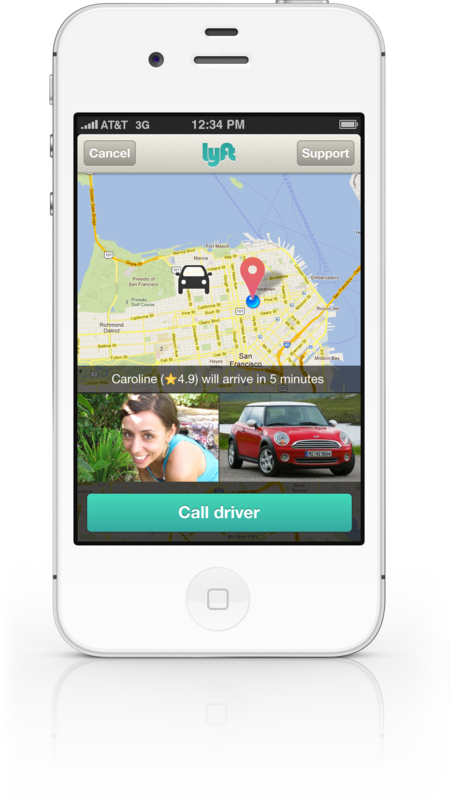 There is also another app that hasn’t publicly launched but is in beta around San Francisco called Sidecar. It has an extremely similar model. The company has raised more than $7 million from Mayfield Fund, Floodgate, Keith Rabois, K9 Ventures and fbFund.